Travel is fatal to prejudice, bigotry, and narrow-mindedness, and many of our people need it sorely on these accounts. Broad, wholesome, charitable views of men and things cannot be acquired by vegetating in one little corner of the earth all one’s lifetime. 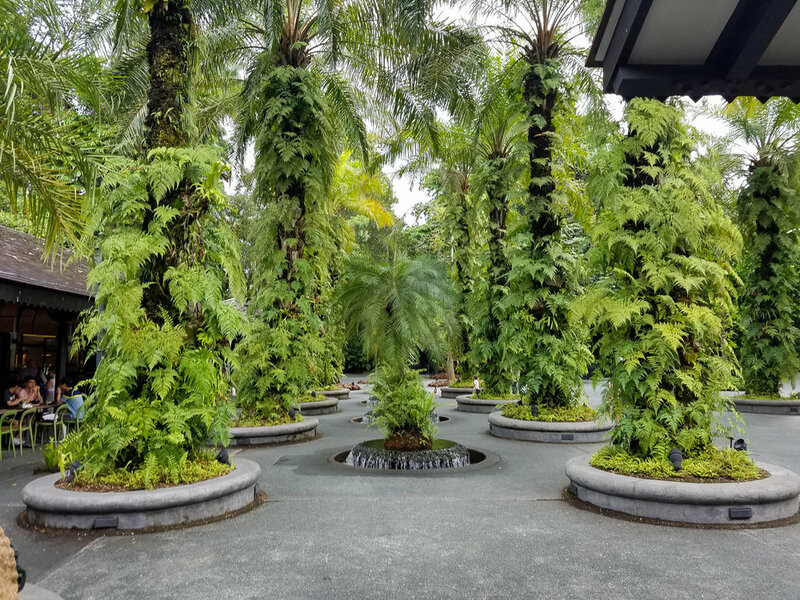 This post is a continuation of my Singapore Travel Diary. If you missed the first post where I share tips on finding the best hotel for you, you can check it out here. We were only in Singapore for a few days and most of the time was spent sleeping,so we had a limited amount of time for touring. If you plan on visiting and are pressed for time like us, you can check out the following tourist places. 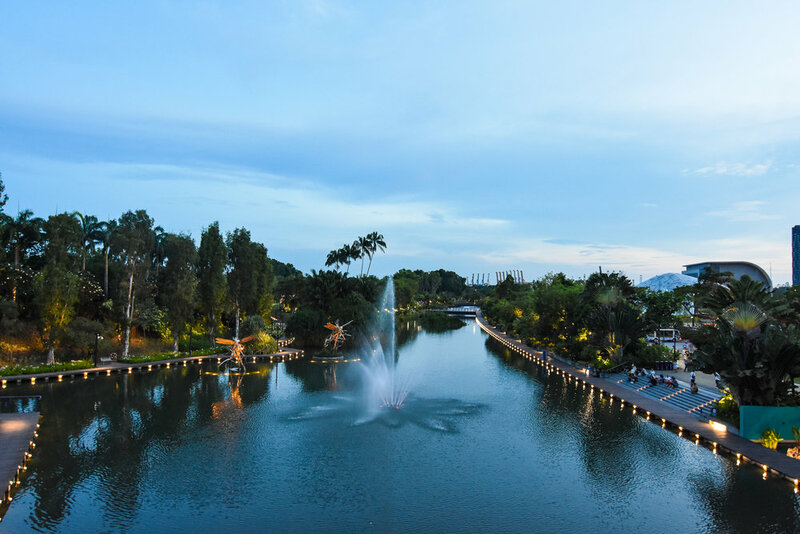 Fragrant Garden – the plants in this garden were specially designed to emit a fragrant aroma in the air for visitors in the evening time. It showcases many species of plants that emit sweet smelling fragrances that have widely been used in modern fragrances, religious and traditional rituals, etc. 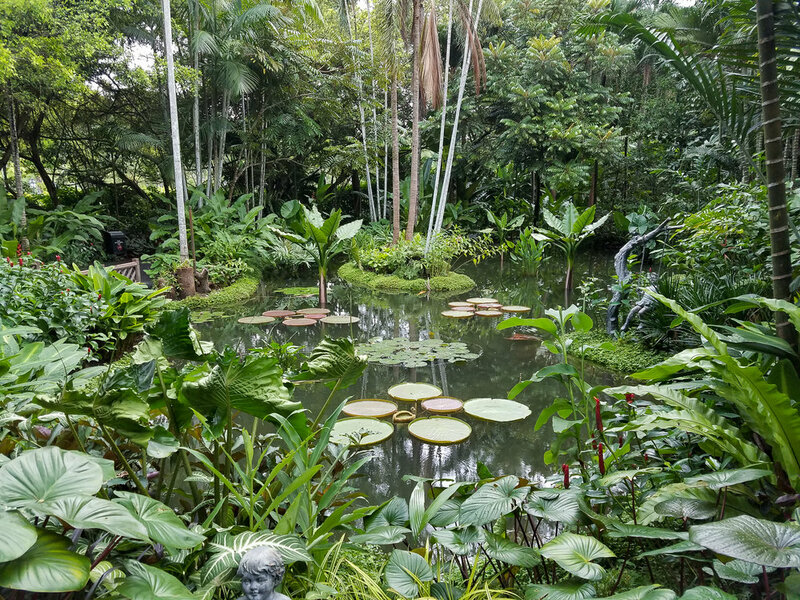 The Healing Garden – this has over 400 varieties of plants used that are used medicinally. P.S: The archways draped in various plants were a favorite of mine at the garden. They look even better in person. My husband loved shopping in Singapore and went overboard a little bit (shhhh, don’t tell him I said that). Orchard Road can be compared to New York’s 5th Avenue or London’s Oxford Street but on a grandeur scale. Be sure to check out ION Orchard, a glamorous and futuristically designed mall complex, which is a hub for luxury brands such as Louis Vuitton, Miu Miu, Cartier, YSL, etc. Don’t worry, you can also find affordable chic stores such as Zara, Topshop and H&M. I love Zara and I was curious to see what kind of styles they carry in Singapore. Some of the styles were not up to my taste. Maria Bay Sands is one of the top attractions in Singapore, simply due to its famous infinity pool, which is the world’s largest pool overlooking the city’s skyline. We visited the hotel, but it was way too crowded. We didn’t get a chance to see the pool because they were only letting hotel guests access the facility. I have to admit, the overall deign of the hotel is quite a sight to behold with it’s eye catching three columns that are illuminated in a beautiful purple color at night. 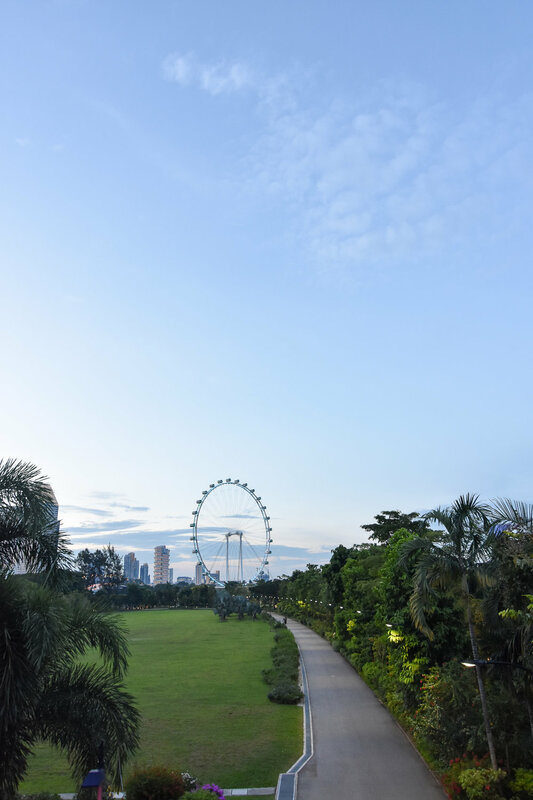 You can get a perfect view of the hotel from Gardens by the Bay, which is just a walking distance away. 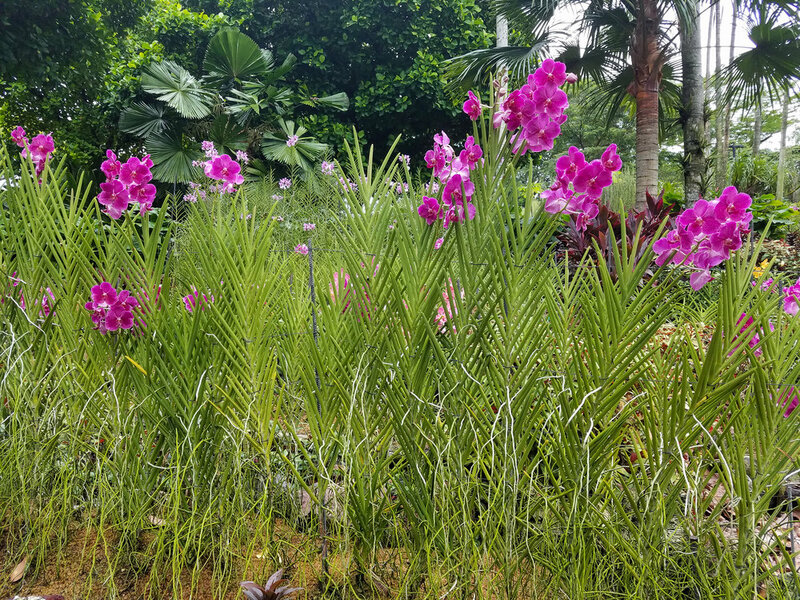 Gardens by the Bay is by far, one of the best places to visit in Singapore. The garden is so massive, unfortunately, we only had a few hours to roam around so we just picked one part of the garden to explore. It’s worth making a day trip out of it so you can experience all the attractions that it has to far such as The Flower Dome, which feels like you have just stepped foot into the endless spring season with a million variety of flowers and plants from all over the world – get a taste of Africa with the Baobabs and bottle trees, experience South America with exotic plants from Chile, experience The Mediterranean with a showcase of olives, grapes, figs, lentils. Etc. 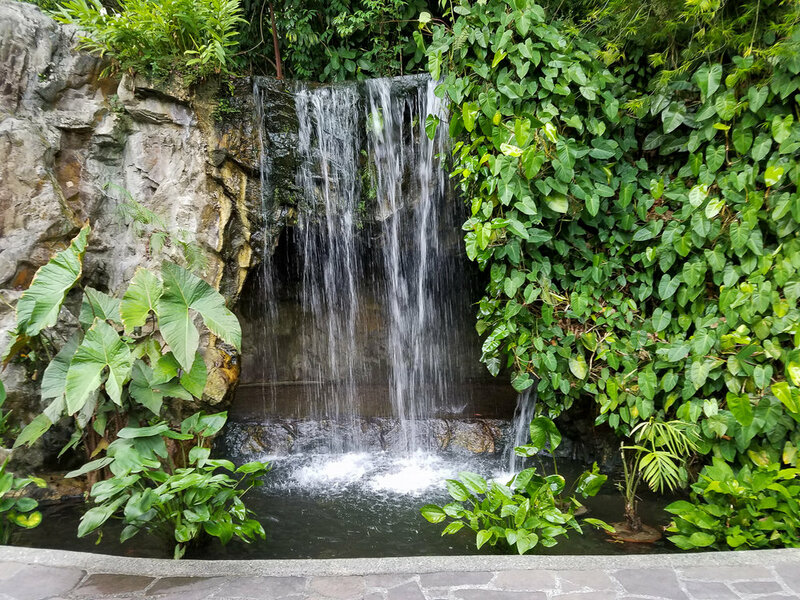 There are parts of the world exhibited in the flower dome including California Garden, Australian Garden, etc. 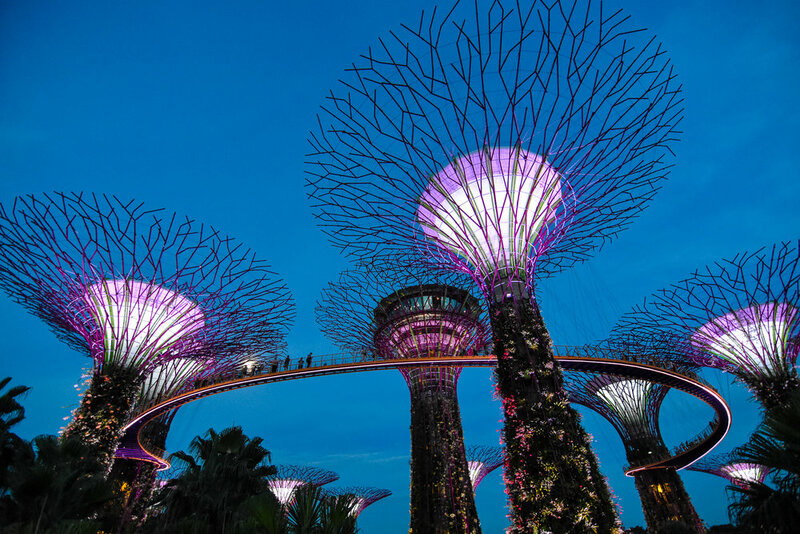 There are other main attractions to explore in the garden such as the Cloud Forest, Children’s Garden, Bay East Garden, and my favorite, the Supertree Grove – these are 18 gigantic trees that are between 80 and 160 feet high. They are covered by over 100, 000 plants an they have large canopies that provide shade in the day turn into a beautiful display of lights and sounds at night. 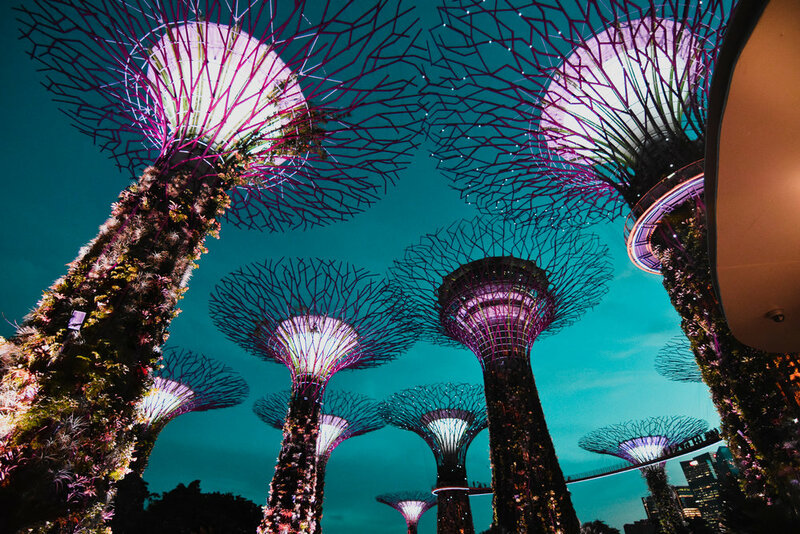 It’s free to enter the garden, but you can purchase a ticket for a small fee to go to the top of the supertrees and take in the amazing views of the garden and the neighboring Marina Bay. The famous show comprises of Disney songs and a variety of changing colors. Its literally feels like you are in an enchanted Disney movie. The moon was shining bright on this night. I’ve always been obsessed with the moon, so it was a magical night. These earth tone colors remind me of the fall season, which is funny because you’d never see a fulll moon in the fall. If we were to have one, it would look just like this. Craving some Indian food without taking a trip to India? Head out to Little India for a taste of India. Experience the culture by exploring the various temples, mosques and churches. Pick up some souvenirs (specialty sweets, custom jewelry, traditional clothing with intricate designs, jewels and embroidery). If you are feeling adventurous, go ahead and try out some henna or pick up some jasmine garlands. I was so excited to go to Little India because Indian cuisine is my favorite. I had to make sure to pick up some spices while I was there. Unfortunately, I didn’t get to try out any of the food because most of the restaurants tha we passed by did not look very sanitary and the last thing I wanted was to get sick at the beginning of my honeymoon. This concludes my short recap of Singapore. 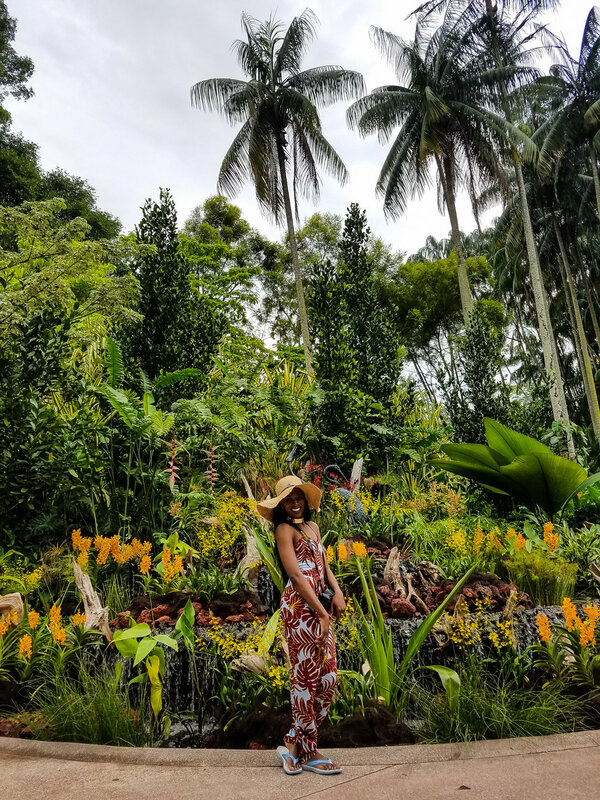 Stay tuned for a recap of my next travel diary of Bali, Indonesia. Thank you for stopping by. Until next time, stay blessed!